I am starting this thread with an intention to continue updating it on a monthly basis. It should put to rest, most of your doubts about car sales etc. Nice initiative buddy ...juz one thing whtz the GREEN highlighted colour indicate !! Oops! I gorgot to mention that green thig. They represent the respective segment leaders. In case you guys are interested, I have all manufacturer/Model-wise sales details right from 2003!! Did the LOGAN ever cross 1000 units a month? Oh yes.. I missed it. What happened in Feb/Mar that caused the spike? October sales of Logan have probably been the lowest so far. HEAVY DISCOUNTS for previous year's stock. Can you please update us with the September, October and November figures? These are the official figures which includes personal use and taxi use both for all type of models. By looking these sales figures sometime I feel I own a Honda Accord which similar number (may be more). Pretty steady figures. I dont see this to be in troubles. Its got it's own segment. Sales of the Logan sedan from Mahindra Renault Pvt Ltd went up by 12.38 per cent to 563 units during the month, compared to 501 units in the same month a year ago. Ok. 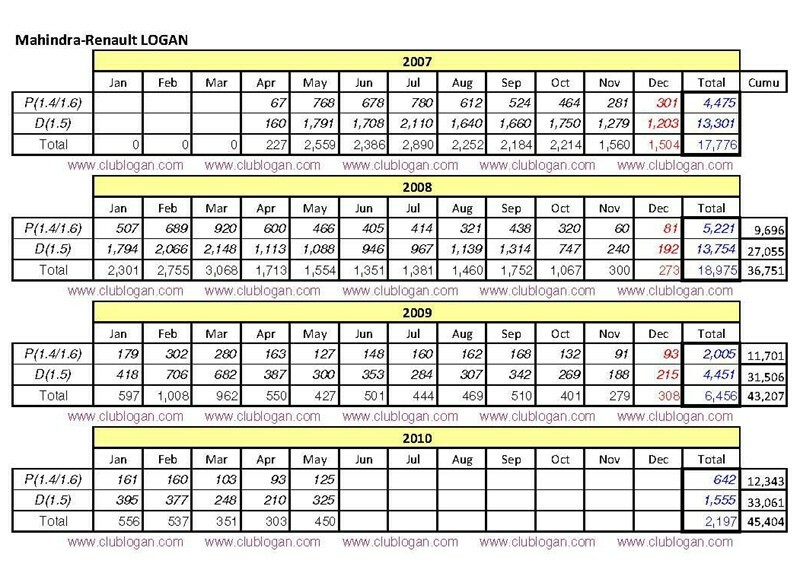 I have compiled the month-by-month sales figures for Logan, split by Petrol & Diesel. The 563 was for June though. I am waiting to see those numbers rising again. I hope we can. I still need to get a breakup of the Sep figures though. yea read 1000 in September else where as well.. good going for Mahindra! Interestingly, i heard in a news bulletin that the rising numbers of the Logan is actually pushing the New Logan Release a little backward..
No one needs a bootcut version. I hear that Mahindra have set themselves a target of 1300 Logans in October. With this level of confidence, I am sure thay really know what they want and how to get it. We already have a thread running discussing the sales of Logan . Will be merging this post of yours with that thread.